Data from machine operation is an important source for product-relevant quality aspects. The integration of machine data into the digital product life cycle processes enables the improvement of products, systems and processes. In product development in particular, future machine generations can be engineered being more adapted to the requirements for operation issues during use phase, enabled by product and machine data inspection and analysis. In this paper, we propose a comprehensive and generic reference data model called Field Data Model (FDM), organising well-structured product and machine data. The FDM is part of Product Lifecylce Management (PLM), enabling data integration from heterogeneous data sources like PDM, machine control systems and machine-related sensors. The FDM is part of a Field Data Management System (FDMS) that is used to automatically set up and organize Field Objects (FO), representing – real or virtual – machines or machine components of special interest to machine manufacturers or machine operators. This research considers the problem of sequential quality control and presents different methods for the quick detection, with low false alarm rate, of a change in a stochastic system. The paper focuses on recently proposed control schemes called Nested Plans. These schemes include two unknown parameters that essentially impact their efficiency. The research presents a way to find the optimal values of the parameters, and shows that Nested Plans with the correct choice of the parameters are very efficient, robust and simple for practical applications. The paper considers a way of the numerical solution of a system of partial differential equations describing the nonstationary flow of a viscous liquid along a vertical straight pipe of circular cross-section. The result obtained is not final, because the proposed approximation scheme is the simplest and provides only the first order of accuracy. Computer modeling has shown that such an approximation is suitable only for a small time interval. The article is devoted to the problem of comprehensive evaluation of the efficiency of the use of various alternative fuels obtained from natural gas (NG) in a total life cycle (TLC). Despite the fact that all types of motor fuel under consideration are produced from NG, the energy and environmental consequences of their use may vary significantly. Goals of this research are: developing TLC mathematical models of a power unit operating on motor fuels obtained from NG (compressed NG, liquefied NG, methanol, dimethyl ether, synthetic diesel fuel and hydrogen) and conducting a simulation in order to determine energy and environmental indicators for the use of the considered fuel types. The results of simulation allow to choose the most promising types of alternative fuels according to the criteria of energy efficiency and a level of environmental pollution by harmful substances and greenhouse gases. Fish like many living organisms have specific tolerant range of various environmental parameters, thus fish farming of specific types of fish species requires certain conditions that have to be reached. Moreover, the people that work in the fish farming ponds have to be engaged in all day activities to maintain the living fish habitat. Therefore, monitoring and taking actions to maintain the habitat’s sustainable environment for certain fish species inside of fishing ponds over distributed machine to machine communication, which will shorten the time needed for some basic actions, is the main motivation for this paper. In this paper we present an upgrade on a functional Internet of Things (IoT) system for monitoring fish farming ponds. The IoT system consists of various sensors that measure important factors of the water quality like temperature, light intensity or water level, as well as small board computer that processes the data and sends sound and visual notifications to the fish farming manager. The current system lacks the ability to process the data to the end-user via web or mobile platform. Due to remote distance of the fish farming ponds and their location dependence of clean fresh water, one solution of this problem is using expansion module like Wivity modem to enable the end users in real time to monitor and control certain aspects of the fish farming pond IoT system. Wivity modem allows user to communicate to the IoT system via WiFi connection, cellular, LoRaWAN or satellite communication; all in one product. Later on, this module can be integrated with IoT platforms including Japser, Microsoft Azure or Amazon Web Services. For future work, we plan to expand not only the applicable services on different platforms, but also add more control modules and sensors to the existing IoT system for specific fish species. Due to intentions of Ukrainian economy to join European Union there are many threats and opportunities on the way. Ukraine has a number of industries producing goods, products and services needed in Europe. The growth of economic ties with EU makes Ukrainian manufactures stronger and has become a question of key importance during last decade. Meantime, Ukraine remains within rather tense conditions of technological lag but with some promising abilities in agriculture and food industries supplemented with a great potential in area of information technologies. This distinctive combination of abilities make it feasible for Ukraine both to become a strong partner for EU and to do a great leap of industrial progress within “Industry 4.0” concept. Nevertheless, one of crucial problems for Ukraine is to build an innovative infrastructure to meet requirements of intellectual transport system conforming to EU “Industry 4.0”. This research paper is focused on discussion of these new features of transport industry and opportunities for Ukraine to make its transport industry a leading advantage for the whole economy. Those drastic changes in Ukrainian transport would procure an excellence for other industries implementing “Industry 4.0”, the same as to become a test ground and an exclusive source of experience for EU on “Industry 4.0” implementation. Information society is considered as a new stage in the human development, which is characterized by the dominance of information, information products, information technology and communications. The existence of interconnection of processes of globalization and informatization of social life are proved. The trends of information technology development and the main segments of the potential market of information technologies are determined. It is proposed to consider the use of information technologies as a complex of interrelated scientific, technological and engineering disciplines, that study the methods of efficient organization of labor engaged in the processing and preservation of information; computer techniques and methods for organization of their interaction with people and production equipment, and related social, economic and cultural issues. Virtualization has become the main trend that changes the IT infrastructure. The basic idea is to concentrate all resources of different physical systems in one large pool. As a result, there are various problems of information security, that should be taken into account. A number of business requirements that will increase demand and minimize costs to maintain the required level of service are proposed. The groups of factors that lead to an increase in economic benefits through the using of CALS-technologies are examined. The market of information infrastructure, dynamics of Ukraine’s ranking on the level of development of information and communication technologies in the world are analyzed. It is determined that today in the informationtelecommunication aspect Ukraine has no competitive advantages in international markets in comparison with developed countries. It is concluded about the main tendencies of the development of information and computer technologies and information and consulting services. The necessity of creating favorable conditions for the development of information and communication technologies in Ukraine is substantiated. This requires new approaches to the development of financial institutions that provide the accumulation and redistribution of financial resources for the implementation of effective structural changes. It is proposed to consider the fundamental economic strategy for the development of information and communication technologies in Ukraine not as a matter of public policy. Information and communication technologies should be transform into the subject of direct consumers’, producers’ and investors’ interests. The state should create certain principles and conditions, diversify organizational forms and attract non-traditional sources for innovation in the field of information and communication technologies. The advantages that Ukraine can get through accelerated innovative development of information and computer technologies are determined. Web services are application components that can be linked together for creating new functionality. As such, they support industry environments by binding together inhabitant services with distributed on demand services for implementing the business strategies. However, web services are operating in dynamic environments and an important issue during the composition process is change management either at the local or at the web, in general. Therefore, service changes together with other nondeterministic behaviours must be efficiently propagated to ensure the validity and consistency of the enterprise plans. Simulations are effective tools for enhancing factory competitiveness. Simulating the operation of a developed composite service for verifying the developed product could be a solution to this problem. The results of the simulation will allow to predict and react to such behaviours before applying the developed service in real production. As such, this paper describes and compares the existing service simulators that could be used in smart industry environments in terms of their functionality. Based on this review, the identification of gaps in performing simulation of service composition in industrial environments is presented, and challenges to be met on the field are outlined. 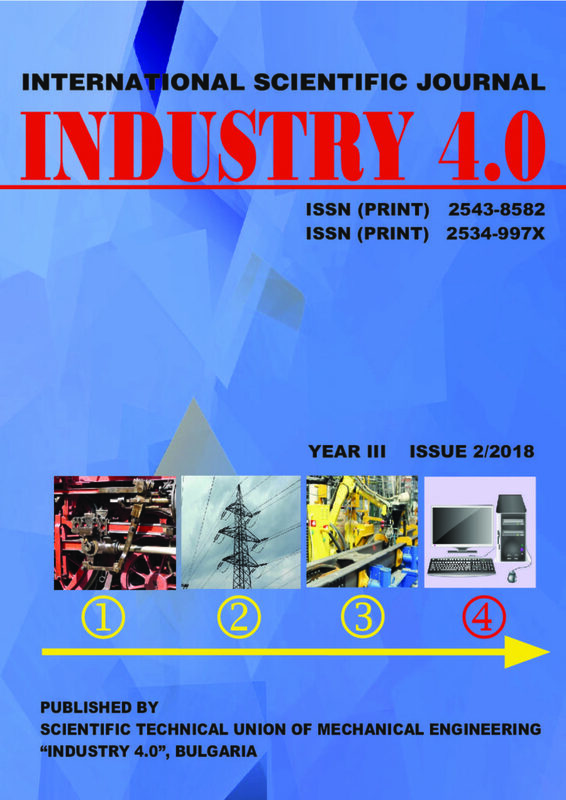 This paper is the endeavor to present the concept of Industrie 4.0 in terms of its governance prerequisites. On the one hand, there is a need to boost the innovation and productivity of the enterprises. On the other one, the technological changes are expected to respect not only economic, but also social and ecological security of citizens. The analysis drawn in the paper is based on the economic consequences of disruptive technological changes especially in their features concerning the need of governance in the light of the dilemma between the imperative of business effectiveness maximization and the necessity of social security.